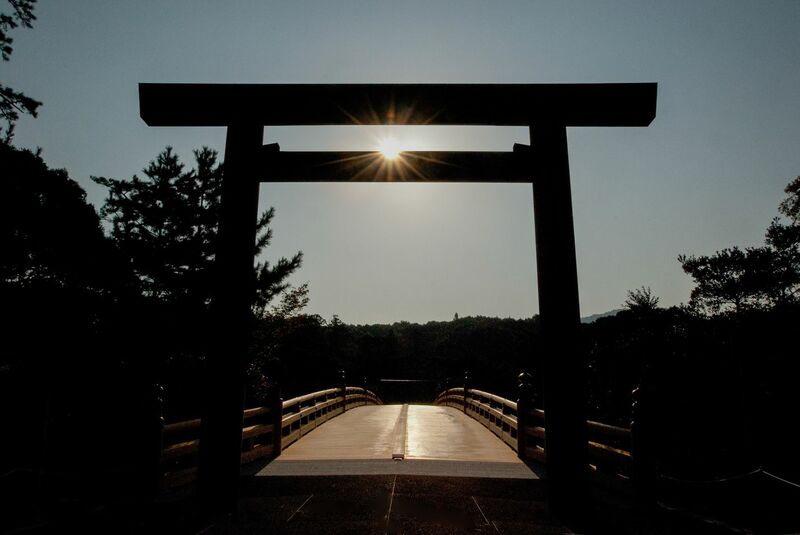 Tsukiyomi-no-miya is a sub-shrine of the Geku (outer shrine) of Ise Grand Shrine. 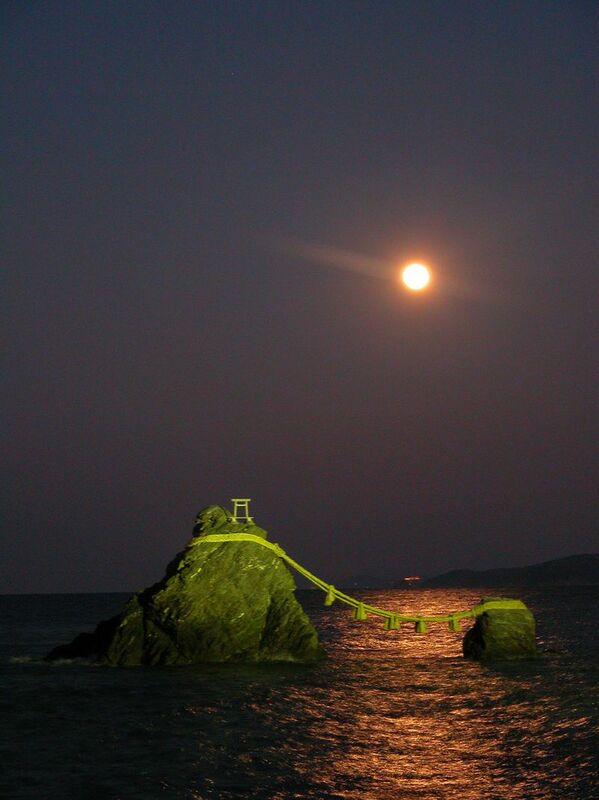 Tsukiyomi-no-miya is dedicated to the worship of Tsukiyomi-no-mikoto – the moon god and younger brother of the sun goddess, Amaterasu. 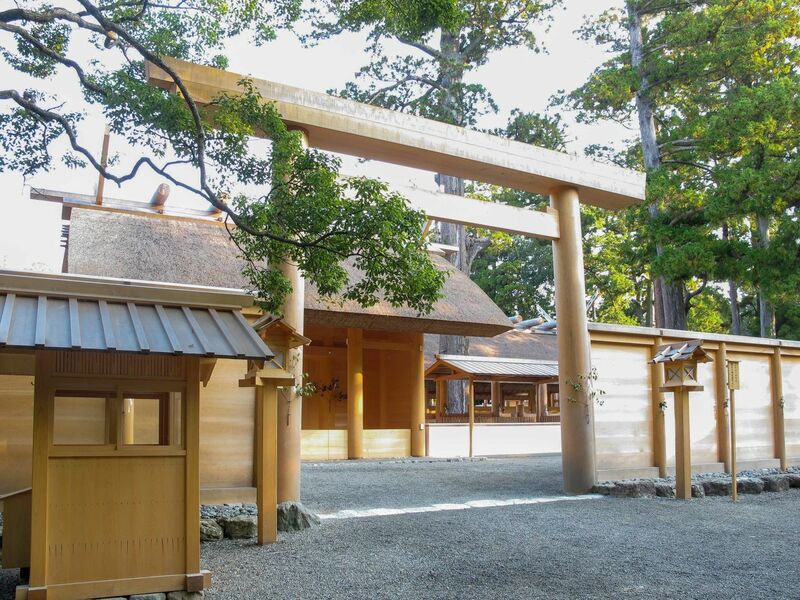 Aramitama – ‘soul of power’- is also honoured in the same shrine building. 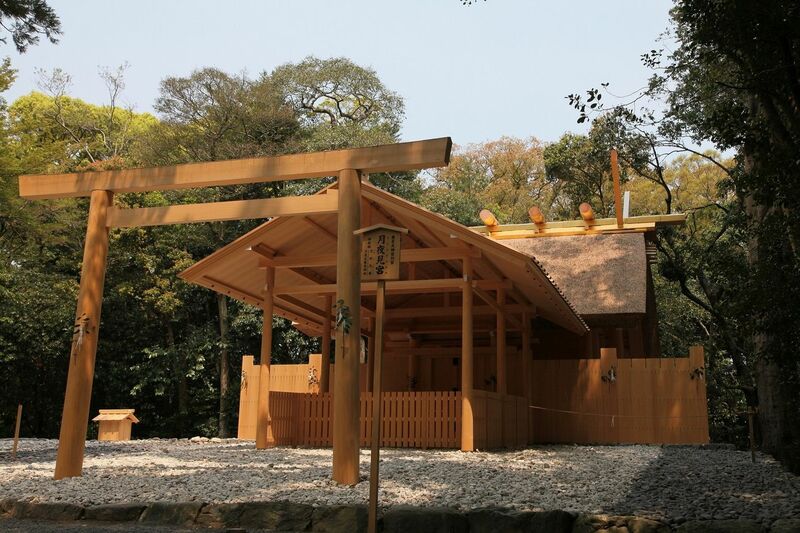 Tsukiyomi-no-miya Shrine is located ahead of Kamiji-dori Street – the street extending straight from the north gate of the Geku. Traditionally believed to be a road along which the gods themselves pass, it is customary to refrain from walking in the middle of the road. 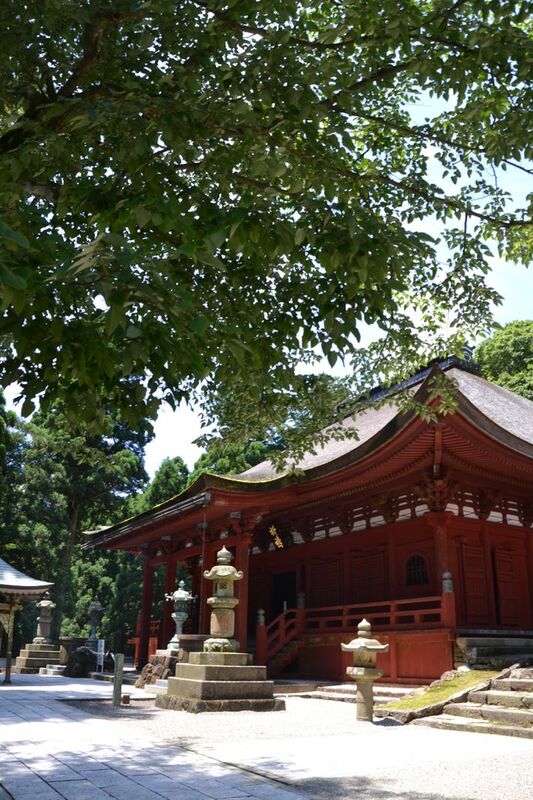 As well as a centuries old camphor tree, the shrine precincts are surrounded with a great a variety of trees, giving the area an overall calm, quiet atmosphere that leaves one with the impression of being far from the city.